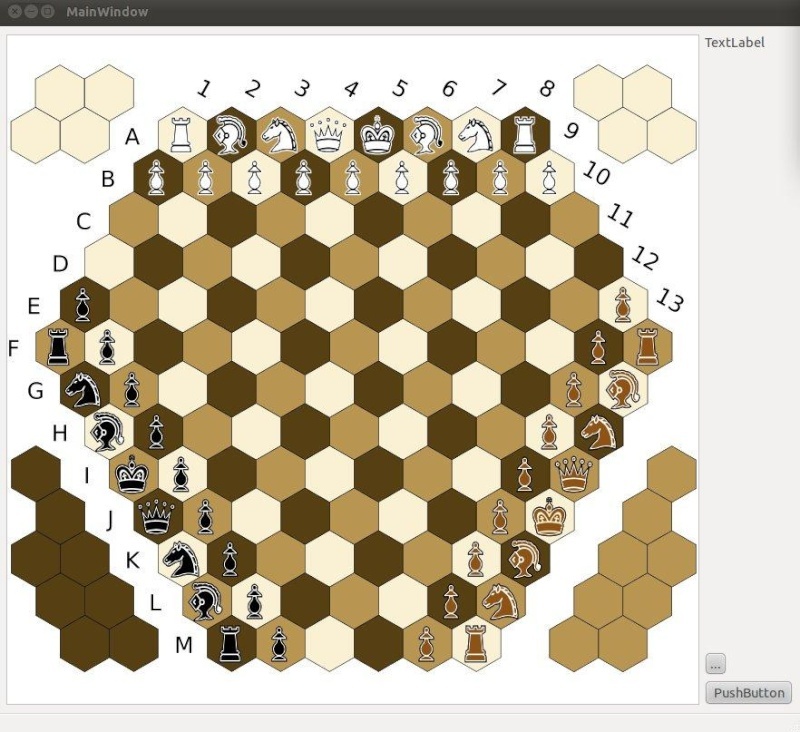 This will be an implementation of the game Dreierschach, a hexagonal chess game for three opponents. It's a variation - created by Christian Wahlmann - which tries to keep the original setting and feeling of classic chess. And I think "all against all" could be wishful thinking..